With 3 children of my own I’ve been trawling the internet and social media for those quick and easy winning craft activities to do at home this summer. So, scissors and glue sticks at the ready and take a look at these top picks! We always have an abundance of craft sticks in our cupboard, but I have seen them all over Amazon too. These are really easy to make and very gratifying once done. Also good for putting on an afternoon puppet show! Add buttons, beads, felt, and googly eyes with glue. Draw on nostrils or other details, and decorate as you wish! One of the easiest things to do each summer is to collect rocks from the beach and keep a stash at home. Then when we’re stuck for something fun to do during the holidays we pull them out and decorate! If your kids are feeling creative they can make them into different animals /insect/monsters.. MOST. FUN. EVER This has got to be one of the biggest successes in our house, and my own personal favourite! It did involve the use of Amazon Prime for a bag of starch (who uses starch?! ), but once it arrived we were good to go! Measure out 150 mls of glue into a bowl. 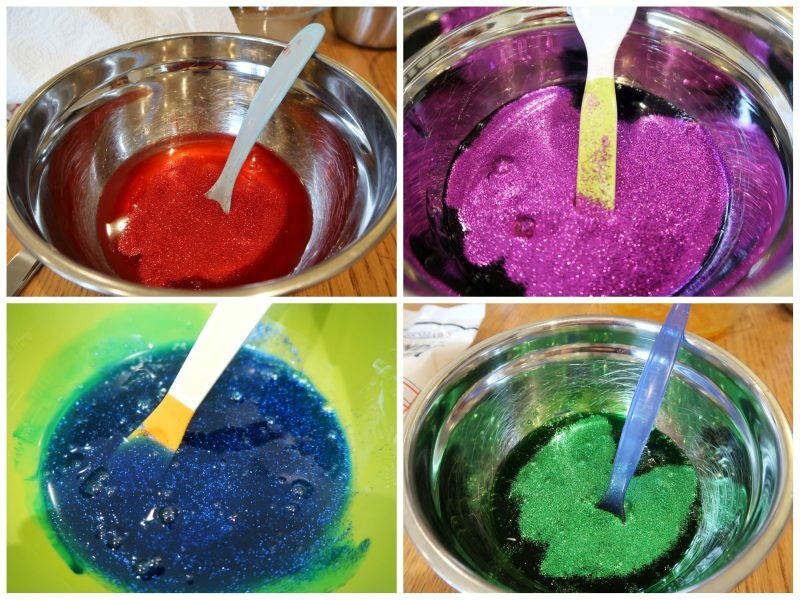 Add the food colouring and glitter. Make up a jug of starch mixed with water. You will need very roughly 40-80 g of starch. Mix the starch with water, using roughly two parts water to one part starch. Pour the starch mixture, very slowly, into the glue, stirring as you go. The mixture will get white ‘strings’ in it and appear to go lumpy. Keep stirring and adding the starch mixture until a ‘ball’ of white stringy stuff starts to form. At this point, it is best to get in with your hands and start kneading and manipulating the glue with your hands until it comes together.Eventually, the white lumps and string-like texture will disappear and you will be left with smooth slime. The more starch you add, the firmer the final slime will be. Add the starch very slowly as it changes quite quickly! Theatre Kids SW19’s own finished products! !